As the UK prepares to celebrate the Jubilee, guest blogger Brian Mengini reflects on how crowdfunding via Kickstarter – and quite a bit of networking – helped turn his dream photo trip to London into a reality. As we entered 2011, I had a soft goal of going to Europe. I say soft for two reasons: First, I had something on the horizon that would possibly take me there. Second, if I didn’t go I would not be crushed. Well, that “something” never happened so I automatically went with the second option. I didn’t care. I went about my life. With a family at home, travel is not always easy, especially abroad. So a trip to Europe was not the most realistic goal at that time. Then one night I was lying in bed watching The Holiday. When it came to the part when Cameron Diaz is in the car headed for the airport & all of a sudden she hops out and runs back to her love and her heart… Well, I’ve seen this movie a bazillion times but, for some reason, I was quite struck by the snow covered English countryside near Jude Law’s character’s house in Surrey. At that moment, I KNEW that I HAD to go to Europe. To London, in particular! I am guilty of being a romantic. I am equally guilty of being sometimes spontaneous; not erratic, but perhaps impulsive. I jotted down some notes and went to bed. The next morning, I quickly developed a project that would take me to London. Once I had it in my head, I created a fundraising campaign on Kickstarter. Did you think my wife was just going to let me book a trip to London by myself out of family funds, just to go be artsy-fartsy? Pffft! What was the project you ask? Well, it was nothing short of genius. 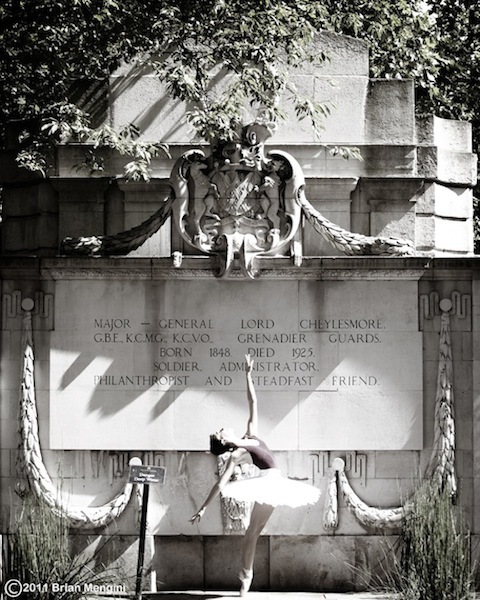 Sheer and pure genius: I would go to London to photograph ballet dancers! Ready for the title? Wait for it… LONDON’S CALLING! I know, I know. I get it all the time… I am brilliant. 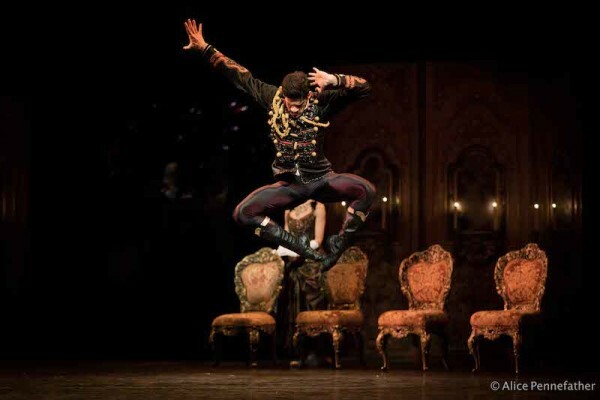 Joking aside, the premise of the project was to go over and work with some of the UK’s best in ballet. All shot on location, using the beautiful London scape as my backdrop. I had no idea if the project would fly on Kickstarter. I was not confident others would see its merits. Then, all of a sudden, people were making donations. People who I did not really know well, were making large donations. Holy crap. This thing was going to get funded! And funded it got! Having made all the appropriate reservations, it was time to line up the talent. To determine whom I would approach, I first turned to my friend, Caro, who was most recently with ABT and before that, The Royal Ballet. In fact, Caro had been in the corps de ballet for The Royal Ballet when I shot them in Philly back in 2007, touring with Swan Lake. I asked her to make some introductions. From there, I began to infiltrate dancers with ENB & RB via Facebook and once I established contact with a few, they helped me reach some of their friends, etc. One of the major problems, however, was that my scheduled travel dates fell during a period when the UK companies were on holiday. Ironic, no? I continued to network and reach out to people right up until the last week or two before my trip. I was able to line up an assortment of dancers from both ENB and RB, including Caro’s friends mentioned above. During this time, I also needed to start scouting locations. My first resource for this were my favorite bag ladies, E & L! They supplied me with a ton of places. I also got good input from other people. With all these logistics worked out, I wanted to see what leisure time activities I could line up. As the Bag Ladies pointed out, the Mariinsky was going to be touring there that entire week. Um, YES PLEASE!! Ok, all my plans were in place. My accommodation was organized. Sadly, I had to stay all the way up in Watford due to a mishap in booking a room in Westminster. Nevermind, I was so excited! I had shoots lined up with dancers from ENB, RB and more. A week in London, to just shoot and explore all by myself. This was surely going to be the highlight of my career. I landed in London and quickly hit the ground running. Having missed my first bus to Watford Junction and gotten a bit lost on the way to the hotel, I had to cancel my first shoot. But all of that was quickly made up for when I got to the Royal Opera House and met up with Mariinsky principal Igor Kolb. We had a photo session on the rooftop of the opera house with the London Eye in the background. What a way to start my trip! As we were saying our goodbyes he invited me to come back the next day and shoot dress rehearsal. I was in heaven! From there, I was off to see the company in Don Quixote. I lasted till the first intermission then had to leave: I was feeling like a bobble head. The next day I met Igor by the stage door and he took me to his dressing room. Along the way, I passed by all the other dressing rooms. In the costuming area I saw all the tutus and character costumes hanging on racks in the hallways. This was one of many “pinch me” moments. Igor escorted me to the auditorium and I quickly set up as the dancers were still marking. I stopped, sat back and took it all in. Here I am sitting inside the Royal Opera House, photographing the Mariinsky dress rehearsal on an invitation from one of their principals (another pinch me moment!). Well, that and when I realized that David Hallberg was there guesting for Scotch Symphony. After the dress, I met up with our fave Bag ladies, E&L, for some light beverages and chat. It was so nice to meet them and talk about my trip and the dress rehearsal. Over the next days, I had the opportunity to do some fantastic sightseeing, to meet and work with amazing people like Thom Whitehead and Yasmine Naghdi from The Royal Ballet. I also met and had my photo taken with their colleague Sian Murphy. I worked with Ruth Brill (then ENB, now with Birmingham Royal Ballet) and Kelly Turner from Hamburg Ballet. Kelly was very sweet to give up her entire Friday so that I could shoot her during the day AND at night. I also had the opportunity to meet up with good friends from Philly and to network with a renowned UK portrait photographer who took me around to his studio and his home to meet his family. I really enjoyed the day I spent with them. My time in London was amazingly epic and I cannot wait to go back. 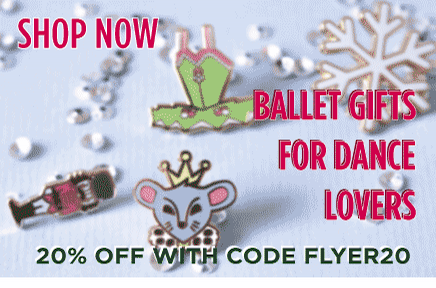 Please use the comment form below or email us at theballetbag[at]gmail.com by 14 June and tell us which image (or images) catch your eye. You can pick your favorites in this feature (tip: hover over each picture for the title) or from Brian’s Facebook album. As a thank you, Brian will automatically enter readers to win a 11×14-sized print of one the below images. You have 3 chances to win! Thanks to all who took the time to read and comment!!! My personal favorite would be 29/43 Yasmine, Royal Ballet. It is beatiful and elegant, but the asymmetry of the dancer contrasted with the symmetry of the architecture gives it a surprising edge. I love the photo with the big wood doors the very best. . The phone booth and the one with neon lights and barely lit sky after sunset come in a close 2nd & 3rd. Best of luck with the upcoming exhibition! Since I must choose one for your series I think that Ballerina and Telephone Cabin is the one that jumps out the most because of her expressive and eye-catching pose next to the bright red telephone booth. Each image has much to recommend it, but if I *had* to choose a favorite, it has to be ‘Ballerina with Telephone Cabin’. It’s such an iconic London image and historic in its own unique way, not to mention the ‘rina’s positioning is gorgeous! Brian is one of the most sought after dance photographers across the pond and is going for world renown! 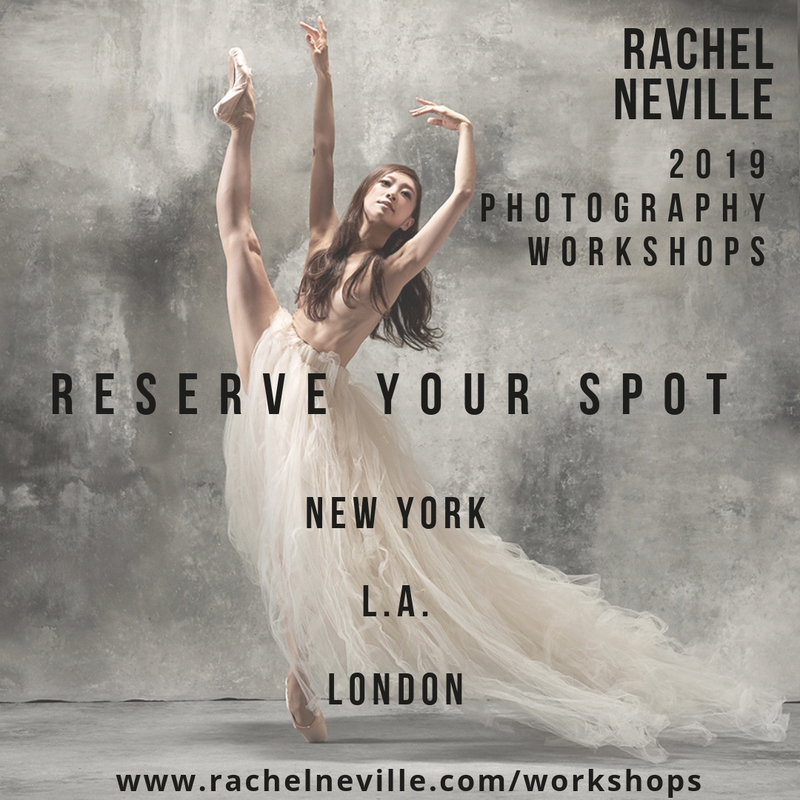 I was lucky enough to have him shoot some of the San Francisco Ballet dancers for my own web site and every dancer was thrilled with the results. This ‘London Calling’ series deserves the exhibition and what better photo to illustrate the title than the one with the red London phone “calling” booth? It absolutely must be the title shot! “At the Door” really jumped out at me. I love the contrast of the huge doors and the attitude pose (at that she just might be able to open those doors). Great photos Brian, they all look lovely! My favourite one is the colour portrait of Yasmine Naghdi (those beautiful dreamy eyes!). Out of the three photos to choose from it has to be the middle B/W photo of her in front of the Lord Cheylesmore Memorial. It’s the most expressive one. Such an amazing and inspiring story! Could totally feel the excitement of a dream coming true Also the photos are beautiful, hard to pick one. I love the one with Yasmine Naghdi and picture no 9 with Ruth Brill from the FB album. Amazing use of locations, dancers, colours etc. 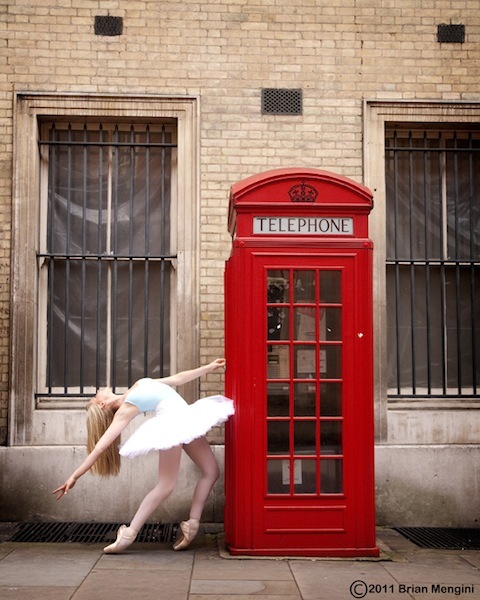 I love most of them – the telephone box and London eye for the bright colour contrasting with the dancers. Also the first black and white one is beautiful, slightly prefer its audacity to the last b and w one. Also love the leap by the fountain but the background is perhaps not well-framed enough. Try and exhibit in the entrance to the RAD in Battersea where my daughter has lessons. Good luck. Love them.